Twin wildfires in California, known as the Mendocino Complex Fire, have grown to become the largest active wildfire in state history, officials said on Monday. Firefighters are tackling 16 major blazes across the state amid hot weather, strong winds and low humidity. 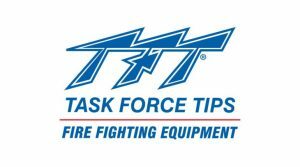 More than 14,000 firefighters and hundreds of US army personnel are trying to contain the more than a dozen major fires burning throughout the state. National Weather Service meteorologist Brian Hurley has warned conditions are not going to immediately improve – with temperatures as high as 43C (110F) being forecast for some areas. Officials say the Mendocino Complex Fire, which is made up of two nearby fires being treated as the same incident, has surpassed last year’s Thomas Fire to become the largest in state history. “Look how big it got, just in a matter of days… Look how fast this Mendocino Complex went up in ranking. That doesn’t happen. That just doesn’t happen,” he said on Monday. It is only 30% contained so far, with authorities warning it could take another week to get the blaze under control. Experts say 2018 has the worst start to the fire season in 10 years – partly due to the 2012-2017 drought that killed off large amounts of vegetation. 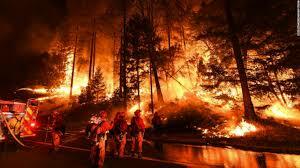 In December, Governor Jerry Brown said devastating wildfires fuelled by climate change had become “the new normal”.